The deployment of ERTMS in Europe is going at different speeds. The situation is complicated by the diverse approaches of the countries involved in the process. Nevertheless, the European railways continue to work over the roll-out of the ERTMS system. Such opinion was expressed by Matthias Ruete, European Coordinator for ERTMS, at the RailTech Europe Conference in Utrecht, the Netherlands. “We are moving away from what I’m calling ERTMS patchwork to ERTMS network. But we are not there yet,” Matthias Ruete said. Under the patchwork, the speaker meant the different approaches and results of ERTMS deployment. “We have some member states that have decided not only to go for the core network corridor approach but to go for roll-out. 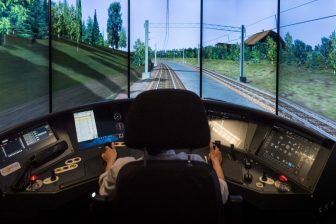 We also have ERTMS deserts in the European Union where we have fully-deployed ERTMS but there are no vehicles running on the network,” the coordinator noted. In his speech, Matthias Ruete mentioned some targets of the ERTMS roll-out. “We need clear and measurable targets in terms of trackside ERTMS deployment,” he quoted his predecessor Karel Vinck. According to Mr Ruete, ERTMS should be installed on 51,000 kilometres of the core network corridors and between 27,500-33,500 vehicles should be equipped with ERTMS onboard equipment. “We also know that at the moment we have around 10,500 contracted vehicles with ERTMS onboard equipment. So, you see there is a still huge gap in deployment of ERTMS onboard equipment,” he said. The ERTMS Coordinator also paid attention to several key conditions that impact on the future of ERTMS. The first point is the parallelism of ERTMS and Class B systems. According to Mr Ruete, the states should solve this question and gradually remove the mixed operation of two systems. “We need a clear European strategy in phasing out of Class B system,” he declared. The second point is a deployment strategy of onboard equipment. “We see that different states do it in a different way. We need a coordinated strategy. 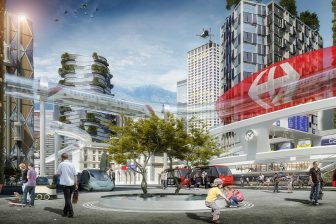 I’m not saying that one way is better but we need to coordinate the approaches,” the ERTMS Coordinator said. He specified that it helps, inter alia, to reduce costs and mobilise money for the projects. The third point is innovation. “ERTMS will become a backbone of innovation in railways. Just remember what ERTMS stands for! 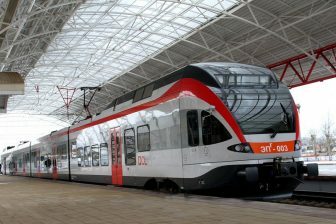 It’s not only about signalling and GSM-R it is a rail traffic management system, it includes much more,” Matthias Ruete argued. He also said that deployment of the system is just a part of railway digitalisation. It will become a base for ATO and other innovations as well as will stimulate the development of the railway industry in future. 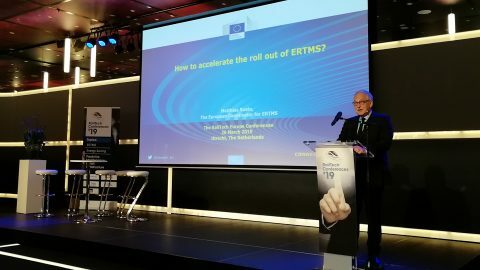 “We need to develop a narrative about ERTMS which makes sure that railways will be the preferred land transport of 21 century,” Matthias Ruete summed up.